Hands On Auto Tech Transmission Service is very unique compared to most other shops. When we service your transmission we always remove the fluid pan and replace the filter if it is an option on the vehicle. Hands On Tech always uses the specific transmission fluid that your vehicle calls for. While our service takes longer and costs more then the service you may see at other shops, it is a job done right, and the fluid will remain clean looking for many months after the service. 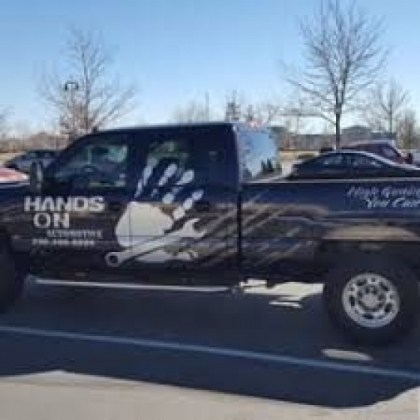 For a job done right the first time count on Hands On Auto Tech for all of your vehicle repair and maintenance needs! Mon-Fri 8am - 5:30pm By appointment only for scheduled maintenance, but we’re here to handle your last minute emergency repair as well! Great service! My son had recently bought a used car from a guy down in Littleton. Because of the distance between Littleton and Longmont, we found a mechanic down there to look the car over before we bought it. We were told that overall, the car was in pretty good shape but that it needed a couple of new Tie Rods that would probably run about $700.00 - $800.00 to get fixed. We went ahead and bought the car knowing about the work needing to be done. We wound up taking the car to Tom in Longmont to get fixed and Tom discovered that the Tie Rods were actually fine but that the Strut brackets were in bad shape and needed to be replaced. Tom replaced the brackets (for about half the cost of the Tie Rods) and the car now drives like it's right from the factory! The car was also washed when we got it back from Tom! I own a retail service business and customer satisfaction is everything to me! I couldn't be more pleased with Tom's skills and service! Amazing mechanic! Very friendly with excellent personal customer service. Their prices are extremely fair. 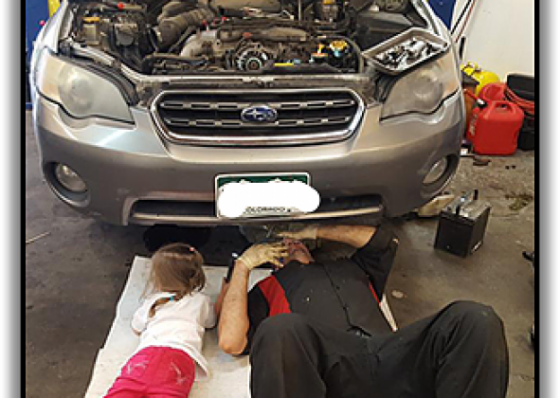 ( They cost about a tenth of mechanics in Boulder ) I have gotten all the work on my car done there, and every time they go above and beyond what I pay them for. I would highly recommend this mechanic to anyone with any car as the head mechanic is also Air Force certified to work on planes, and Naval certified to work on boats. SERIOUSLY, WAY WORTH THE DRIVE! P.S.- I never ever ever write reviews but Hands on Auto definitely deserves the praise. Thank you guys for being awesome and keep up the good work! Did an oil change and the service tech checked my alternator (which checked out fine) because the light kept coming on and off even after a new battery - the light has since stopped blinking - seamed to just needed to be reset.